In Heineken Asia Pacific Pte Ltd v Super La Via Sdn Bhd  MLJU 117, the Plaintiff is a company incorporated in Singapore and part of the Heineken Group which produces, packages, distributes, markets and sells more than 50 acclaimed beer, non-alcoholic beer and a range of other beverage brands, including TIGER and ANCHOR. Most importantly, the Plaintiff is the registered proprietor in Malaysia of various BINTANG (“star”) trade marks in Class 32 for beers. The Defendant is a Malaysian company involved in the business of retail mini-market, warehousing and storage facilities and general trading. The Plaintiff had in June 2018 filed an action against the Defendant for trade mark infringement for importing, exporting, distributing and selling of beer bearing marks which are identical to or nearly resembling one or more of the Bintang Marks and printed with the description “Strong Filtered Beer” and “Alc. 16%” which were not manufactured by or under the license of the Plaintiff (“Counterfeit Bintang Beer”). From the trap purchases made by the Plaintiff in end 2017, these infringing canned beers were offered for sale in at least seven retail outlets in Kuala Lumpur and Petaling Jaya..
Injunctive orders were already granted earlier by the Court against the Defendant for until the conclusion and disposal of the action. Subsequently in these proceedings, the Plaintiff also filed a summary judgment application against the Defendant. In a nutshell, it was found by the High Court that the Plaintiff’s original beer manufactured by or under the licence of the Plaintiff contains only 4.7% alcohol by volume or lower. This was acknowledged and admitted by the Defendant. On the other hand, their canned Counterfeit Bintang Beer are printed with one of the Bintang Marks and described as “Strong Cold Filtered Beer” and “Alc. 16%”. Primarily, the Defendant in its rebuttal merely put the Plaintiff to strict proof of its allegations and maintained that the imported beer was original Bintang beer. In any event, the Defendant claimed it was not the owner of the Counterfeit Bintang Beer but only a middle-man and the imported beer was not meant for the Malaysian market. The shipments of beer arrived in Malaysia as a transshipment port only. The Defendant denies any liability because they claimed that they merely leased its import license for the importation of the beer for another party. The Court held that the Defendant’s affidavit was basically one of bare and bald denials. In its findings, the Court was satisfied that the Plaintiff’s Bintang Marks have been duly registered with MyIPO in class 32 and by Section 35(1) of the Trade Marks Act 1976, the Plaintiff has the exclusive rights to use the marks in relation to goods of that class. In addition, the Plaintiff’s Bintang Marks have been registered in excess of seven years and by Section 37, this is prima facie evidence of the validity of these marks and the Defendant has not challenged the validity of the Plaintiff’s registered Bintang Marks. At all material times, the Plaintiff has never licensed or authorized the Defendant to use the Bintang Marks. The Plaintiff has in the circumstances proved that the Defendant used the Bintang Marks in respect of Counterfeit Bintang Beer which has not been cogently explained otherwise by the Defendant. It is consequently plain that the Defendant used the Offending Mark which is identical with or so nearly resembling the Plaintiff’s registered Bintang Marks. As for whether the Defendant used the mark “in the course of trade”, the Court applied a liberal interpretation of Sections 3(2) and 38 as per the case of Philip Morris Brands Sarl v Goodness For Import & Export  10 CLH 33 where the High Court there held that transshipment of cigarettes in Malaysia constituted use of mark in the course of trade. Here, the Court also took judicial notice that there had been recent local news report of counterfeit alcoholic drinks with high methanol content that caused more than 45 deaths of innocent consumers. The Judge was not persuaded by the Defendant’s bare denial that they were not the owner of the Counterfeit Bintang Beer because even the Defendant’s secondary act of abetment of others is not a statutory excusable act and sufficed in connecting it with the use of Counterfeit Bintang Beer. Their non-ownership is not ipso facto a statutory defence under Section 40. At the end, the Court found the inescapable conclusion that the offending mark had been purposefully crafted to mimic the Bintang Marks to mislead public consumers that the Counterfeit Bintang Beer was in fact produced by the Plaintiff. 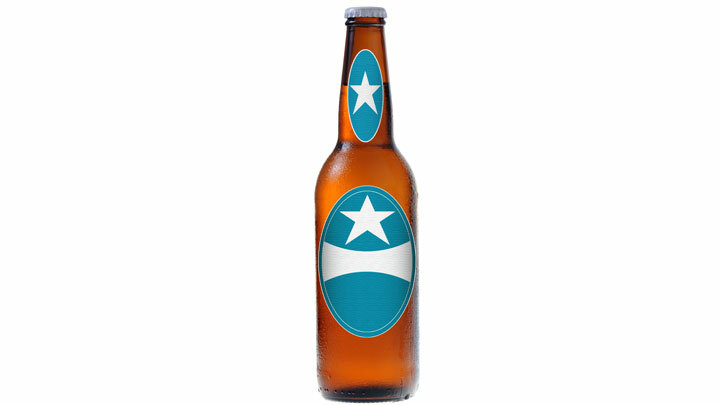 (i)	a permanent injunction to restrain the Defendant (and related entities) from infringing the Plaintiff’s registered trade marks especially the Bintang Marks; claiming release, taking possession or accepting delivery of beer bearing marks which are identical to and/or nearly resembling any of the Bintang Marks. (iv)	an inquiry as to damages, or at the Plaintiff’s option, an account of profits and costs. There was neither a triable issue raised by the Defendant nor otherwise a reason to hold a trial.